Hi all, welcome to my review of Traffic titan 2. Traffic titan is a software and training product that claims to teach you how to get tons free traffic to your affiliate offers and make shed loads of money at the same time. It comes with 7 software tools that will help you find affiliate offers, get traffic and make money. Does it work? Well, that’s what you will find out in this review. Before I go on with the full review of Traffic Titan 2.0, I should let you know that there are multiple products from this vendor on the JVZOO network that all sound and look similar. All three are either in their second or third version and the weird thing is every single one of the sales page all looks similar and have what I believe to be the same sales video. Are they all the same products with superficial changes? I don’t know, maybe someone who has bought all the products can tell us. What I do know is that it sold really well on its launch and has a pretty low refund rate. That is why I figured I may as well purchase it and see if this product lives up to its claims. So, what do you get with Traffic Titan 2.0? Like I mentioned, you get 7 software tools several video tutorials and some good bonuses. 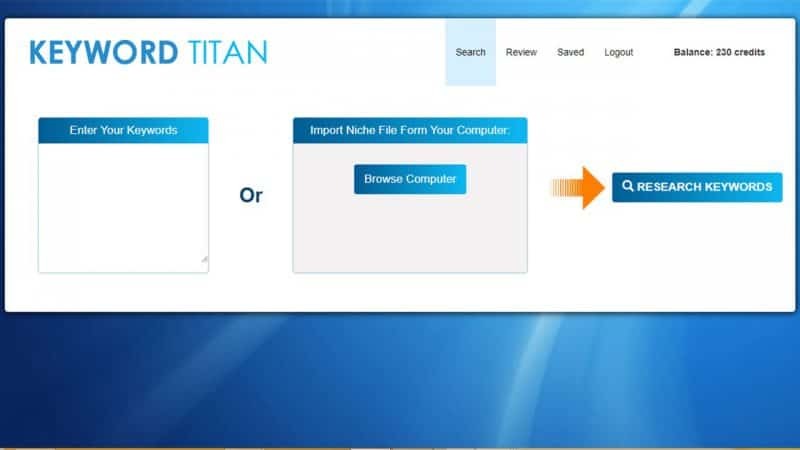 Seeing that I purchased Traffic Titan for less than $10 I would say it’s worth checking out just for the software’s alone.There is also a quick start 50-page PDF guide to get you up and running using Traffic Titan 2.0 as quickly as possible. 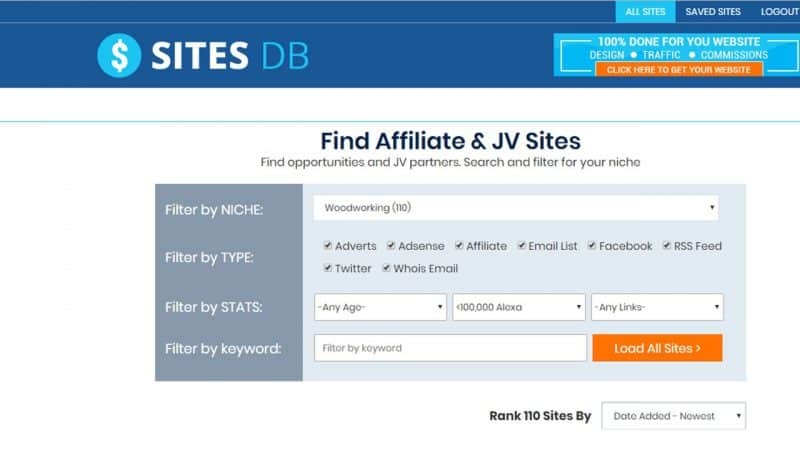 A huge database of 100 profitable eCom/affiliate niches, with each niche you get all the keywords for the top ten websites on Google’s first page. Not only will you get the organic keywords but also any PPC keywords these websites are targeting. Under the domains tab, you can search for domain names with your keyword and see if they are available. This is done through another piece of software called domainaveli, which I will get to later on. A pretty good software that will provide you with a lot of data for your chosen product. I am quite impressed by this tool and it did provide me with a lot of keyword ideas I can target for my chosen niche. If you buy the upsell for Traffic Titan, you can also research your own keywords and not just rely the ones preloaded into the software. This is their own proprietary keyword software tool. A score to see if they are easy to rank on Google and Youtube. There is also some options to do further research on your chosen keyword but that is only available if you are a pro member. This software has every single sales page for all the top-selling digital products on the aforementioned affiliate networks. The software will let you select parts of the sales letter and save it as an image. Which you will export to the next piece of software called Image2video. The software will create a video presentation from the imported images. This is where you will create a review type video with the images you cut out from the sales letter. You can add voice-over or any of the royalty free music that comes with the video editor. If it sounds all a bit too technical, don’t worry the video tutorials makes it easy to understand. This is where I realised that I wouldn’t be making anything with this product, I’m not really complaining, I knew what I was getting into with such a low-priced product. Out of the 7 software’s that you get, the website2image and image2video tools are the most underwhelming pieces of software you will come across. They are really basic and even if you could rank them, I do not think you will have much success in convincing people to by the affiliate offer from a bunch of video slides. I started making a video but it just looked so bland that I disregarded it. This is the main software of this product and it does not deliver. However, luckily the other software’s more than makeup for this. Their own domain research tool. Probably the best software in the package, not only will it search domains for your keywords but it will also rank them according to their monetary value. This great if you want to get into the business of domain flipping. You will also be able to register any domain name you find with Namecheap and you can also order a custom website around your niche which will cost $127. Database of thousands of websites and ways to leverage them for traffic opportunities. This is another good software and is most certainly worth more than the $9.95 I paid for the product. 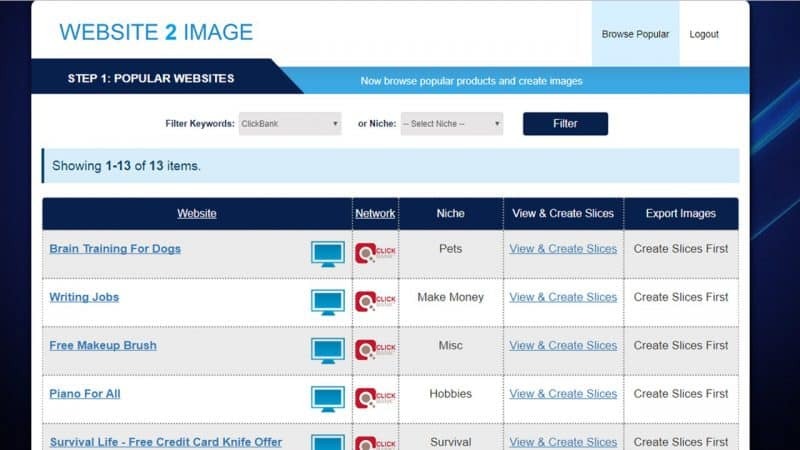 They have pre-loaded the software with thousands of websites in the ecommerce/internet marketing niche,these websites are ranking on the first page of Google for highly targeted keywords that are also in the database. The software will bring you the top Google results for your keywords (provided that they are already in the database) and the software will also provide you data that you can use for more traffic. 1.If the site runs ads – if so, is it within your budget run some ads and get some traffic? 3.If the site has social media presence – Follow them on Facebook,Twitter and join in the conversation, promote your site. 4.Does it run AdSense? – If so and you run ads on Google ad network, you can target these websites. You can filter your search by niche,how old the site is,its Alexa rank and how many backlinks it has pointing to it. Since I already have a very good WordPress theme (Extra by elegant themes) I found no use for this. As an added bonus, you will also get access to one of their best-selling products called T-Shirt titan. This is a complete training programme on how to sell T-shirts by leveraging Teespring and Facebook ads. Teespring is basically a site where you can design and sell your own products like apparel, phone accessories, mugs etc. Don’t worry, you don’t have to hold any inventory, everything is handled by Teespring, selling this method (dropshipping in a sense) has become very popular recently. T-shirt Titan provides a complete training programme to get you started selling on Teespring by designing T-shirts and selling them through Facebook ads. This bonus is alone worth more than the $10 I paid. The main product for Traffic Titan, which is the Web2Image and Image2video creator, is not a high-quality software and if that was all you were getting I may not have endorsed it. However, even for $10 this product it may have been worth checking out. Fortunately, that is not all you get with Traffic Titan, despite the low quality video maker, the other software’s are actually worth more than the $10 and there is a lot you can do with them as shown in the training videos. I personally think there is a lot of potential with Domainaveli for example you could start a domain flipping business with it. A terrific piece of software. I didn’t like the hype of the sales page and the multiple upsells put me off, however, that is, unfortunately, part and parcel of this industry. For under $10 this is more than worth checking out. If you are looking to build a real online business,then check out my top-rated programmes, Store Coach and Wealthy Affiliate. I have never heard of the Traffic Titan 2 but, this looks really, really good. I thingk knowledge is essential to building sites. I like the way you can see how much Keyword earns per day, I have never seen this before. 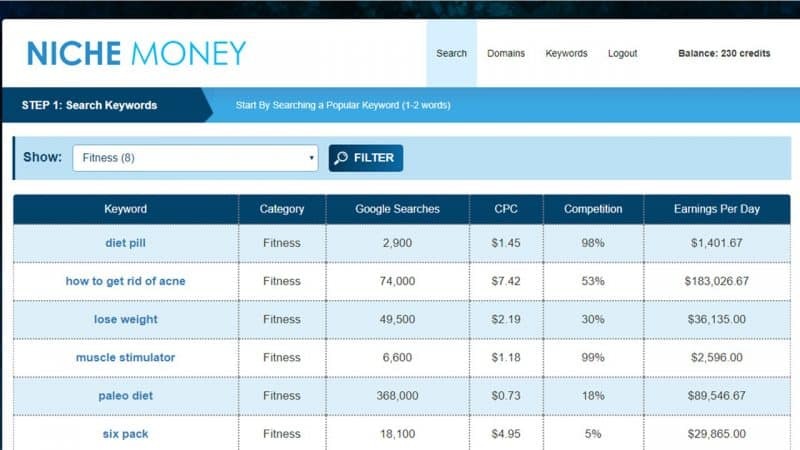 It is good as well you can see the keyword competition. This is a fantastic feature. I was most impressed with their own domain research tool. This is very hard to come by. It seems like you get so much, is the 9.95 a one off payment or do you have to a monthly subscription? Thanks for stopping by and commenting, yes its a good product and its cheap which makes it quite a bargain. There are no other fees related to this product. How ever, as mentioned in the article, there are a few up-sells,which is totally up to you if you want to purchase. I didn’t purchase these up-sells so I cannot comment on their quality or content. You are correct. $10 is a good price for niche money and keyword software. I think I will check this out. Is this a one time fee or monthly fee? I do not do videos yet, so I have no need for the image2video as for now. There are no monthly Fees with this product. Glad you enjoyed my review. This seems like an awesome product in terms of increasing your website traffic! I currently am building an online business myself and hearing about something like this which is under $10 definitely has got my interest. The thing that has me most interested in getting this would have to be seeing the database of what the top sites are currently doing. 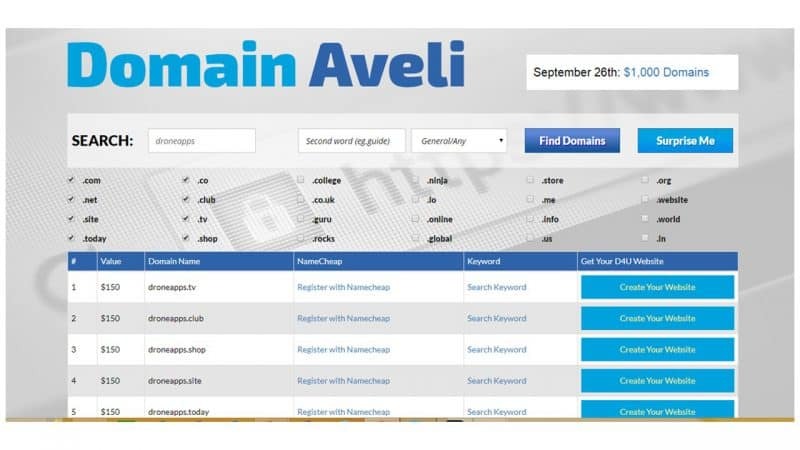 I do not have much of an understanding of domain flipping so my question is, how do you think Domain Aveli benefit my current online business that I am working on?